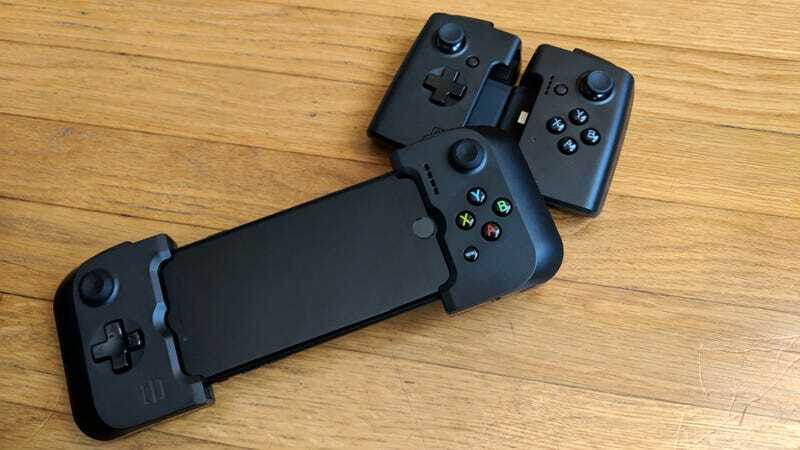 The Gamevice comes in many varieties for different phones and tablets, and the phone versions fold up nicely for portability. That’s right, I said PC games. Despite being designed for mobile gaming, the App Store and Google Play ecosystem is in a tough spot. Both are flooded with free-to-play nonsense and half-assed spinoffs of console games, with quality premium titles dwindling in popularity. But the utility of these controllers goes far, far beyond App Store games and Fortnite, and it’s why the Gamevice is one of my favorite gaming accessories around. A vice-like grip allows you to play anywhere, without having to prop up your phone or tablet. 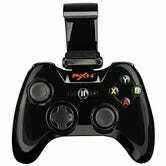 There are plenty of mobile-focused gaming controllers out there, from the $50 SteelSeries Nimbus to the more Xbox-like PXN Speedy which allows you to clip in your phone. But these are bulky, and in many cases—like the Nimbus—they assume you’re going to prop up your device on a table. I’ve never found that to be a particularly easy or enjoyable experience, which is why the Gamevice is so alluring. 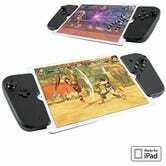 Rather than making yet-another-standalone-gamepad, Gamevice created a two-piece controller held together by a rubber strip, allowing you to “dock” it on the sides of your phone or tablet—much like the Nintendo Switch. 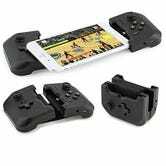 They have versions for the iPhone, Galaxy, and Pixel line of phones, which fold up neatly and fit right in your bag, as well as versions for different iPad models that are a bit less portable, but give you a great big screen for your games. They’re more expensive than typical gamepads, ranging from $60 for the phone models to $100 for the iPad models, but boy are they worth it. 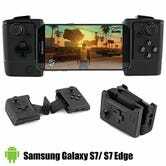 All Gamevice models plug into the USB or Lightning port on the bottom of your device, ensuring a reliable hardwire connection instead of Bluetooth, and negating the need to charge your phone and your gamepad. Each Gamevice has a USB or Lightning pass-through port for charging your phone, as well as a traditional headphone jack—huzzah! Each model is a bit different, and has its own benefits and quirks—the iPhone version has a little slider to ensure your phone fits in perfectly, while the Pixel version stretches to auto-size itself to your phone. The Pixel version also uses a more squared-off design with black-and-white buttons that are a bit louder and clickier than the already-kind-of-loud iOS versions, plus slightly different shaped analog sticks and an extra menu button. The button noise is probably my only real gripe with the Gamevice, as it’s a bit annoying to other people in the room when I’m playing, though the tactile feedback is nice. The Pixel version auto-sizes to your device, whether you have the regular or XL phone. Despite their minor differences, though, all of the models I’ve tested have worked quite reliably once your phone or tablet recognizes them. My iPad Gamevice sometimes requires reconnecting when an app doesn’t register its presence, but I’m pretty sure this is iOS’ fault and not Gamevice’s. 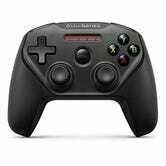 Ultimately, the vice design alone makes it the best game controller for phones and tablets. 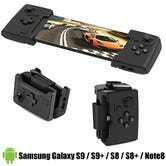 That’s all fine and dandy, but if you aren’t a fan of mobile games, you can still make use of the Gamevice. Here’s the real reason I use this thing: I’m tired of playing games at my computer. I sit in a desk all day, and it’s really hard to motivate myself to sit at a desk all evening too, even for fun. I want to melt into the couch like the T-1000 after a long hard day and get sucked into another world. I could get a console, but then I’d have to fight my wife for the TV—a battle which I’d surely lose every time. I cycled more iOS games into my backlog, and some are quite decent—there’s a good crop of indie titles and older console ports on mobile, not to mention a few good AAA options like République (despite its minor flaws) and Fortnite (which just received gamepad support for its mobile version). You can see all the Gamevice-compatible games on Gamevice Live, but chances are, you’ll eventually be left wanting more like I did. With apps like Moonlight, Steam Link, Shadow, and others, you can play AAA PC games on your iPad—like Rise of the Tomb Raider, shown here. That’s where Moonlight comes in. This open-source app (for iOS, Android, Chrome, and other platforms) reverse engineers NVIDIA’s GameStream tech, allowing you to stream a game from your PC to your phone, tablet, or laptop—the gaming PC does all the heavy graphical work, but you can play it on any screen in the house, as long as your gaming PC has an NVIDIA card. If you don’t have an NVIDIA card, AMD Link is AMD’s equivalent app, and Steam Link is a slightly less mature and GPU-agnostic app that does something similar on Android (Apple has rejected its iOS version for the time being). Or, if you don’t have a gaming PC at all, you could use a service like Shadow to stream games from a cloud server, or the newly-released PS4 Remote Play to stream games from a PlayStation 4. In other words: you aren’t limited to mobile games on your mobile device. With the right setup, you can stream just about any AAA console or PC title to your tablet, hook up a controller, and turn it into the ultimate portable couch gaming machine. Since discovering this, the Gamevice has become the saving grace of my gaming life. I still have to play some games at my PC—I’m absolutely terrible at first-person shooters unless I have a mouse and keyboard—but controller-friendly games like Rocket League, The Witcher series, the Middle-Earth series, and others feel right at home with a controller on my iPad. I can plug in the Gamevice, set up shop on the couch or in bed, and play to my heart’s content without fighting for the TV. And after getting used to that, it’s really, really hard to go back to sitting upright at my desk.